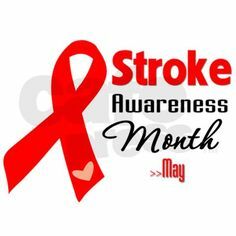 May is American Stroke Awareness Mouth. The good news is that strokes can be treated and prevented, and many fewer Americans die of stroke now than even 15 years ago. Despite the tremendous toll stroke takes, the vast majority of Americans do not think of stroke as a major health concern. And one in three Americans is unable to identify all the F.A.S.T. (Face Drooping. Arm Weakness. Speech Difficulty. Time to Call 9-1-1) stroke warning signs. American Stroke Month is an annual opportunity to get the word out. Each May, the American Heart Association/American Stroke Association recognizes American Stroke Month by rallying the nation around the cause because together we can end stroke. If you have diabetes, your chances of having a stroke are 1.5 times higher than in people who don’t have diabetes. But you can lower your risk by taking care of your health. You can’t change some of these risk factors. But you can lower your chances of having a stroke by taking care of your diabetes and tackling some of the other risk factors, such as losing weight if you’re overweight. It’s up to you. If the blood flow to your brain is blocked for a short time, you might have one or more of the warning signs temporarily, meaning you’ve had a TIA (mini-stroke). TIAs put you at risk for a stroke in the future. “Clot-busting” drugs must be given within hours after a stroke to minimize damage. That’s why it’s important to call 9-1-1 if you’re having symptoms. Why Take Care of Your Diabetes? You may have heard people say they have “a touch of diabetes” or that their “sugar is a little high.” These words suggest that diabetes is not a serious disease. That is not correct. Diabetes is serious, but you can learn to manage it. People with diabetes need to make healthy food choices, stay at a healthy weight, move more every day, and take their medicine even when they feel good. It’s a lot to do.It’s not easy, but it’s worth it! Learn where you can go for support. Learn how caring for your diabetes helps you feel good today and in the future. You can learn more about diabetes health by joining a support group to get peer support with managing your diabetes. Ruby A. Neeson Diabetes Awareness Foundation, Inc. is a Georgia-based nonprofit charitable organization heightening diabetes awareness and prevention through education, community outreach programs, and advocacy support. During National Minority Health Month, Ruby A. Neeson Diabetes Awareness Foundation, Inc., joins the HHS Office of Minority Health (OMH), and its partners in heightening public awareness about health care disparities that alarm minorities and efforts to progress endeavors to ensure that racial and ethnic minorities have full and equal access to opportunities that enable them to lead healthy lives. Many racial and ethnic minority populations, including African Americans, Hispanics, American Indians, and Asian Americans are disproportionately affected by diabetes. Despite expedition towards eliminating health gaps, racial and ethnic minorities continue to face significant inequalities in the state of Georgia. In an effort to reduce the unequal burden of health disparities, we are sharing seven important tips to help lower the risk for diabetes. MOVE MORE: Get up, get out, and get moving. Walk, dance, bike ride, swim, or play ball with your friends or family. It doesn’t matter what you do as long as you enjoy it. Try different things to keep it fun. MAKE HEALTHY FOOD CHOICES: Focus on eating less. Eat fiber-rich fruits and vegetables each day. Choose whole grain foods such as whole wheat bread and crackers, oatmeal, brown rice, and cereals. Cut down on fatty and fried foods. You still can have foods you enjoy, just eat smaller servings. Choose water to drink. TAKE OFF SOME WEIGHT: Once you start eating less and moving more, you will lose weight. By losing just 10 pounds, you can cut your chances of getting diabetes. SET GOALS YOU CAN MEET: Start by making small changes. Try being active for 15 minutes a day this week. Then each week add 5 minutes until you build up to at least 30 minutes 5 days a week. Try to cut 150 calories out of your diet each day (that’s one can of soda!). Slowly reduce your calories over time. Talk to your health care team about your goals. RECORD YOUR PROGRESS: Write down all the things you eat and drink and the number of minutes you are active. Keeping a diary is one of the best ways to stay focused and reach your goals. SEEK HELP. You don’t have to prevent diabetes alone. Ask your family and friends to help you out. Involve them in your activities. You can help each other move more, eat less, and live a healthy life. Go for a walk together or play a pick-up game of basketball. Join a support group in your area to help you stay on track. KEEP AT IT. Making even small changes is hard in the beginning. Try to add one new change a week. If you get off track, start again and keep at it. Take your first step today. Talk to your healthcare team about your risk for type 2 diabetes and the small steps you can take to prevent it. Proper Diabetes management and foot care may help prevent complications that can result in amputation. Diabetes complications include nerve damage and poor blood circulation. These problems make the feet vulnerable to skin sores (ulcers) that can worsen quickly and are difficult to treat. The good news is that proper diabetes management and careful foot care can help prevent foot ulcers. In fact, better diabetes care is probably why the rates of lower limb amputations have gone down by more than 50 percent in the past 20 years. When foot ulcers do develop, it’s important to get prompt care. A nonhealing ulcer that causes severe damage to tissues and bone may require surgical removal (amputation) of a toe, foot or part of a leg. Here’s what you need to know to keep your feet healthy, and what happens if amputation is necessary. The best strategy for preventing complications of diabetes — including foot ulcers — is proper diabetes management with a healthy diet, regular exercise, blood sugar monitoring and adherence to a prescribed medication regimen. Inspect your feet daily. Check your feet once a day for blisters, cuts, cracks, sores, redness, tenderness or swelling. If you have trouble reaching your feet, use a hand mirror to see the bottoms of your feet. Place the mirror on the floor if it’s too difficult to hold, or ask someone to help you. Wash your feet daily. Wash your feet in lukewarm water once a day. Dry them gently, especially between the toes. Use a pumice stone to gently rub the skin over where calluses easily form. Sprinkle talcum powder or cornstarch between your toes to keep the skin dry. Use a moisturizing cream or lotion on the tops and bottoms of your feet to keep the skin soft. Don’t remove calluses or other foot lesions yourself. To avoid injury to your skin, don’t use a nail file, nail clipper or scissors on calluses, corns, bunions or warts. Don’t use chemical wart removers. See your doctor or foot specialist (podiatrist) for removal of any of these lesions. Trim your toenails carefully. Trim your nails straight across. Carefully file sharp ends with an emery board. Ask for assistance from a caregiver if you are unable to trim your nails yourself. Don’t go barefoot. To prevent injury to your feet, don’t go barefoot, even around the house. Wear clean, dry socks. Wear socks made of fibers that pull sweat away from your skin, such as cotton and special acrylic fibers — not nylon. Avoid socks with tight elastic bands that reduce circulation, as well as thick bulky socks that often fit poorly and irritate your skin. Buy shoes that fit properly. Buy comfortable shoes that provide support and cushioning for the heel, arch and ball of the foot. Avoid tightfitting shoes and high heels or narrow shoes that crowd your toes. If one foot is bigger than the other, buy shoes in the larger size. Your doctor may recommend specially designed shoes (orthopedic shoes) that fit the exact shape of your feet, cushion your feet and evenly distribute weight on your feet. Don’t smoke. Smoking impairs circulation and reduces the amount of oxygen in the blood. These circulatory problems can result in more-severe wounds and poor healing. Talk to your doctor if you need help to quit smoking. Schedule regular foot checkups. Your doctor or podiatrist can inspect your feet for early signs of nerve damage, poor circulation or other foot problems. Schedule foot exams at least once a year or more often if recommended by your doctor. Take foot injuries seriously. Contact your doctor if you have a foot sore that doesn’t quickly begin to heal or other persistent problems with your feet. Your doctor will inspect your foot to make a diagnosis and prescribe the appropriate course of treatment. Treatments for foot ulcers vary depending on the severity of the wound. In general, the treatment employs methods to remove dead tissue or debris, keep the wound clean, and promote healing. When the condition results in a severe loss of tissue or a life-threatening infection, an amputation may be the only option. A surgeon will remove the damaged tissue and preserve as much healthy tissue as possible. After surgery, you’ll be monitored in the hospital for up to two weeks. It may take four to eight weeks for your wound to heal completely. 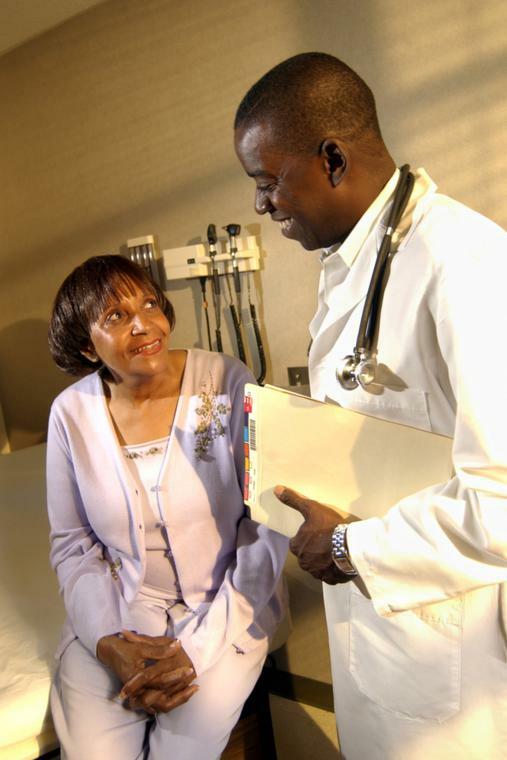 Even after amputation, it’s important to follow your diabetes treatment plan. People who’ve had one amputation have a higher risk of having another. Eating healthy foods, exercising regularly, controlling your blood sugar level and avoiding tobacco can help you prevent additional diabetes complications. We have less than 24 hours left before the arrival of 2015! This means there is still time for you to make a tax-deductible donation to Ruby A. Neeson Diabetes Awareness Foundation, Inc. before the New Year. Don’t miss this important deadline. Please make a donation now on the Donate page of the organization website. No matter the amount – big or small – your contribution will make a profound difference in our mission to aid those affected by diabetes. The mission of Ruby A. Neeson Diabetes Awareness Foundation, Inc. is to aid those affected by diabetes by raising public awareness through community outreach programs and events, education and advocacy programs and support. Donations at work fund and support free educational workshops, cooking classes and nutrition programs, caregiver training and fitness classes for those disproportionately affected by diabetes in low-income and underserved communities throughout the state of Georgia. 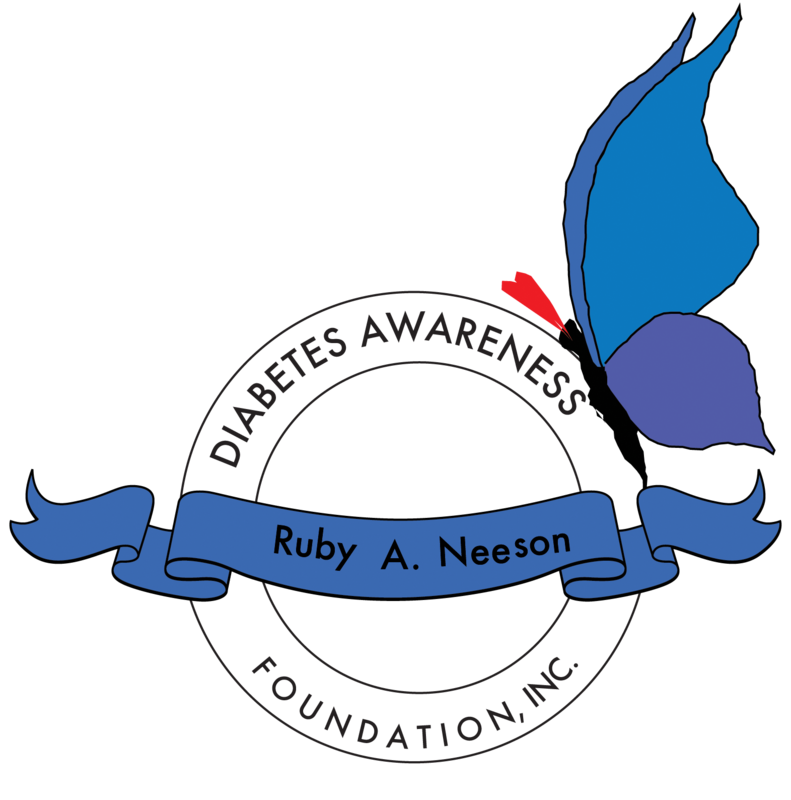 On behalf of Ruby A. Neeson Diabetes Awareness Foundation, Inc. directors and staff, I sincerely thank you for your support. Diabetes can weaken your immune system against the flu. It also puts you at an increased risk of flu-related complications. Keep close track of your blood glucose. It can be affected by illness. If you have diabetes you should get the flu shot, not the nasal spray. Does Having Diabetes Put You at a Higher Risk for Getting the Flu? Diabetes can weaken your immune system. This weakening makes it harder for your body to fight the flu virus. Being sick can raise your blood glucose and prevent you from eating properly.You are also at risk of flu-related complications like pneumonia. Getting the flu vaccine is the most effective way to prevent the flu. The nasal spray vaccine is not safe for people with diabetes. You should get a flu shot. Because you are at an increased risk of getting pneumonia, talk to your health care provider about the pneumococcal vaccine. The pneumococcal vaccine will protect you against pneumonia. In addition to getting vaccinated, follow these steps to keep yourself healthy this flu season. What Should You Do When You Think You Have the Flu? 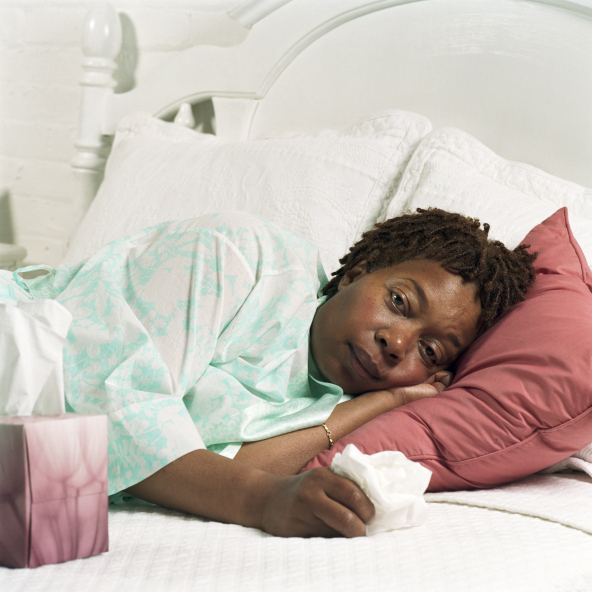 If you have any flu-like symptoms, contact your health care provider immediately. If you have the flu your health care provider can prescribe antiviral medications that can make your symptoms less severe and make you feel better faster. Ruby A. Neeson Diabetes Awareness Foundation, Inc. is a Georgia-based community outreach organization raising diabetes awareness and prevention through education and advocacy support. World Diabetes Day, Healthy Living and Diabetes. 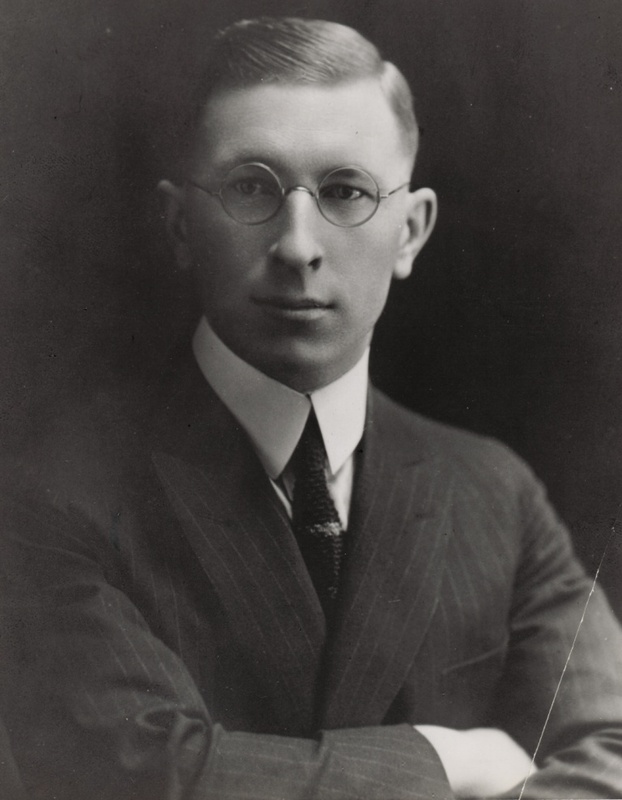 This date coincides with the birthday of Sir Frederick Banting (b. November 14, 1891 – d. February 21, 1941). Sir Frederick Banting was a Canadian medical scientist, doctor, painter and Nobel laureate noted as the primary discoverer of insulin with Charles Herbert Best. They were awarded the Nobel Prize in Physiology or Medicine in 1923. World Diabetes Day is the primary global awareness campaign of the diabetes mellitus world and is held on November 14 of each year. It was introduced in 1991 by the International Diabetes Federation and the World Health Organization in response to the alarming rise of diabetes around the world. This year’s World Diabetes Day theme is, Healthy Living and Diabetes. In recognition of World Diabetes Day, Ruby A. Neeson Diabetes Awareness Foundation, Inc. will host an event, “Taste of Health” at the Allegre Point Senior Community Center in Decatur, Georgia from 2:00 p.m until 4:00 p.m.. Taste of Health will focus on nutrition within the older adult community, and the importance of starting the day with a healthy breakfast, and preparing healthy, diabetic friendly snacks and meals for lunch and dinner. Diabetes disproportionately affects older adults- senior citizens. Approximately 25% of Americans over the age of 60 years have diabetes, and aging of the U.S. population is widely acknowledged as one of the drivers of the diabetes epidemic. Diabetes also affects longevity, functional status, and risk of institutionalization for senior citizens. Participants will receive diabetes nutrition and wellness education, and treated to a delicious lunch prepared by Chef Rolando “Ro” Cantrell. Participants will also participate in a breakout session from Mavis Kelley of Nspire Healthy Living, a Health and Lifestyle Coaching organization enhancing health and well-being to expand wholeness in life. November is also Diabetes Awareness Month. The Centers for Disease Control and Prevention 2011 National Diabetes Fact Sheet informs that diabetes affects 25.8 million people 8.3% of the U.S. population. According to The American Diabetes Association, 57 million who are at risk of developing type two diabetes. Ruby A. Neeson Diabetes Awareness Foundation, Inc. is dedicated and committed to creating supportable, sustainable opportunities for those affected by diabetes. For more information about World Diabetes Day, please click here.